Unprecedented opportunity for economic development and prosperity: PM - Integration Through Media ....! MUGU: Prime Minister KP Sharma Oli has spoken of an unprecedented opportunity at hand to herald economic development and prosperity in the country. 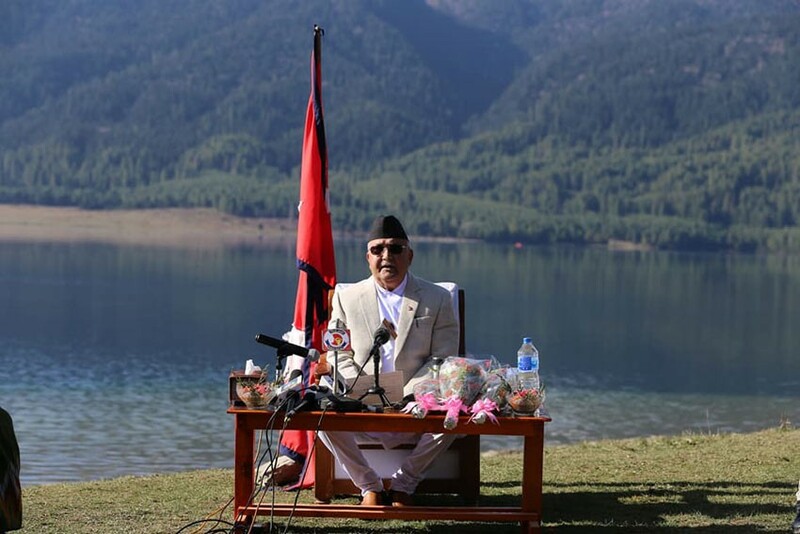 In an address to the nation from the banks of the largest and mesmerizing Rara lake this morning, the PM said the government remains competent in resolving the country’s problems. PM Oli also took the occasion to wish good health and prosperity to the Nepali brothers and sisters on the occasion of New Year 2075. Stating that the year 2074 stood out as an important year for political achievement, the PM noted that the country received pro-people, democratic, patriotic, progressive and pro-development government with the end of political transition last year. “Nepal will be built and it should be built. Yes, there is a term and period for everything. There is a limit for a man’s knowledge and capability. But there are no limits for honesty and no set term for faith. There is no need for alternate training for anyone to work with sincerity and dedication,” PM Oli insisted. PM also pointed out that feudalism responsible for Nepal’s backwardness has become a history, views aimed at making others dependent subjects have weakened and that divisive forces have been sidelined. The PM stressed further that a country does not become big or small compared to other countries on basis of shape, demography and economy rather it is based on the subject of sovereignty. He also underlined the determination to develop close relations with the neighbouring countries, friendly nations and the international community by keeping the national interest at the centre stage.